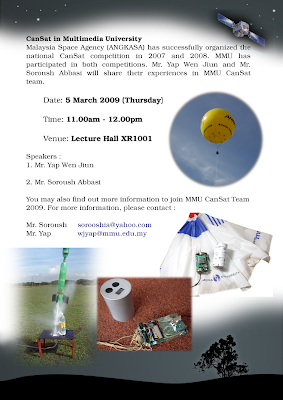 Me and Mr. Soroush will share our experiences in MMU CanSat Team 2007 and 2008. Hello, Mr Yap. 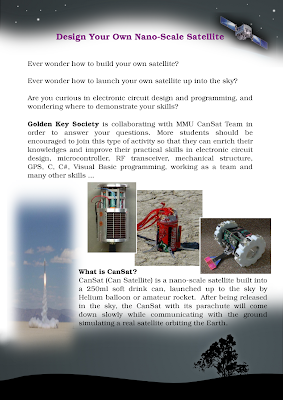 I have seen your blog and have seen the mmu siswasat 2007 video. Fairly interesting. I have interest in this competition, but I am only beta year student. Perhaps, I could just learn from all of you people. :) Ganbatte!